It is among the best all-in-one PCs available in the marketplace. The biggest display with high-class design plus Thunderbolt ports make it separate from others. Processor is Intel Core i5.3.1 GHz with 4GB of RAM which can go up to 16GB. The huge hard drive storage capacity of 1TB is sufficient enough for most of the people. Monitor size is also big. The diagonal size of the monitor is 27 inch with maximum resolution of 2560*1440. Contrast ratio is 1000:1. Apple has included AMD Radeon HD 6970M graphics processor and the video memory is of 1GB GDDR5 SDRAM. The dimensions of this model are 25.6*8.1*20.4 inches. The price starts from $1898 onwards. This desktop is the perfect combination of good-looking chassis, bright interface, excellent internal parts, plus an improved touch experience. It has a nice tilting base with 16:9 aspect ratio screens. It has bright 20 inch touch screen with the power of 1600*900 resolutions. RAM is of 4GB and it contains AMD Athlon II X2 245e processor. The processor speed is of 2.9 Hz. Storage capacity is 750GB. It contains Dual-Layer DVD +/- RW. The price of this desktop is around $750 only. This model has contains slim black chassis added with metallic-orange trim and matte-aluminum. It has Nvidia GeForce 310 graphics card which offers additional HDMI connection. It has an extra VGA port. Therefore it has total two VGA ports and two HDMI ports. It is very easy to open chassis. Graphics type is discrete and RAM is of 4GB with maximum can be up to 8GB. The display size of the screen is 19” with the maximum resolution of 1366*768 WXGA. Hard drive storage is 500GB and the processor is Intel Core i3 i3-540/3.06GHz. The market price of this desktop is $699 only. This model is for those people who are looking for a PC that can handle high quality games. Moreover that PC should be able to handle some other works like photo editing, video editing etc. Therefore if you want all of these things in PC than Dell Studio XPS 7100 is for you. We can simply say that this model is extremely attractive. It has video bus PCI Express of 2.0*16 with DDR3 memory technology. Total hard-drive capacity is 1500GB. It has DDR3 SDRAM and the model has AMD AMD Phenom II X6 processor. It works through Microsoft Windows 7 Home Premium and the market price is around $1000 only. It is a budget PC by Acer and it contains triple-core AMD Athlon II X3 435 processor. It is clocked at 2.9GHz. Processor speed is 2.9GHz and the bus speed is 200 MHz Video chipset is NVidia GeForce 9200M GS. RAM is of 4GB with maximum capacity of 8GB. Operating system is Windows 7 home premium and hard drive storage is 500GB. The general market price of this computer is $349 only. This model of Sony Vaio is a gorgeous combination of beauty, style, and performance. We can say that this model is a big-screen all-in-one desktop. It contains Sandy Bridge chips by Intel which are among the latest in the market that can perform extremely well. Hyper-Threading technology by Intel makes among the top choices. Bus Speed is 100MHz with 2000GB of total hard-drive facility. Optical drive speed is 12 with the inclusion of Wireless LAN and SD Card. The model has Intel Core i7 2630QM processor 8192MB of installed memory. They have used DDR3 memory technology in this machine. It is somewhat pricey. The market price is $2049 so far. This model is among the best and powerful Windows 7 touch-screen PCs. It has spring-loaded hinged foot at the backside and it contains two front feet. The black sleek plastic chassis is very beneficial and it allows us adjust it in any room. RAM is of 6GB and storage capacity is 1000GB. Operating system is MS Windows Home 7 Premium. It contains Intel Core i5-2400S processor and the price is $1289.99 only. It is another Sandy Bridge-based system and it has been designed with 3D gaming in mind. 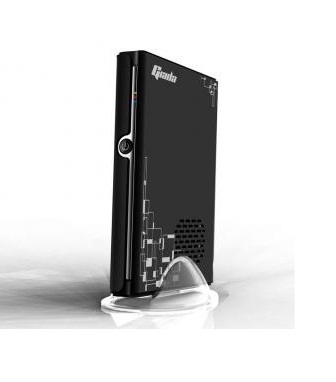 It is a portable mini desktop and loaded with Intel Core i7 2600K processor. Cache size is 8192 KB. Discrete graphics type makes this model highly smart and the installed memory is 4096MB with total hard-drive capacity of 2128GB. The market price of this model is $2499 only. This model is good for small and medium business requirements. It contains Intel Core 2 Duo E7600/3.06GHz processor with 4GB of RAM. The hard drive storage capacity of this model is 500GB. Graphics card is Intel GMA X4500. It is based on Microsoft Windows 7 professional. The market price is $399.99 only. It is a light machine with high-class processor. This model is loaded with 1.2GHz Intel Core i5-U430 processor with 500GB of hard drive capacity. It has Bluetooth connectivity with 802.11n Wi-Fi plus gigabit Ethernet. The model has 4GB of RAM in total. It works through Windows 7 Home Premium and it has USB 3.0 connectivity. The model has shine display with overall simple design and the cost is around $660 only.